This building is part of the original homestead of John Blair. Every building at the ranch has been restored. Our Family at the Meyer Company Ranch. Checking off the goals for 2018! In our home, we have a method. If you’d like something to happen or if you’d like to accomplish something …then write something down. Every January, The Butcher and I and our boys, discuss our goals for the coming year. Owning a small family business means that every decision we make will affect all of us. Together we decide what we would each like to accomplish. Our love of travel and good food, combined with our quest to learn and see with our own eyes where our food is coming from, prompted us to add a visit to Meyer Company Ranch to our goal list for 2018. Our Market has been sourcing All Natural Beef Products from The Meyer Company for just over a year. The Butcher and I look for companies that fit in with our philosophy of family atmosphere, small farms and humanely raised animals without added hormones, steroids or antibiotics. We have been diligent in researching these companies and have been pleased to meet many like-minded individuals along the way. Thirty years ago, Anthony began to learn the art of Butchery. He started from the ground up and had many mentors to learn from and work with. 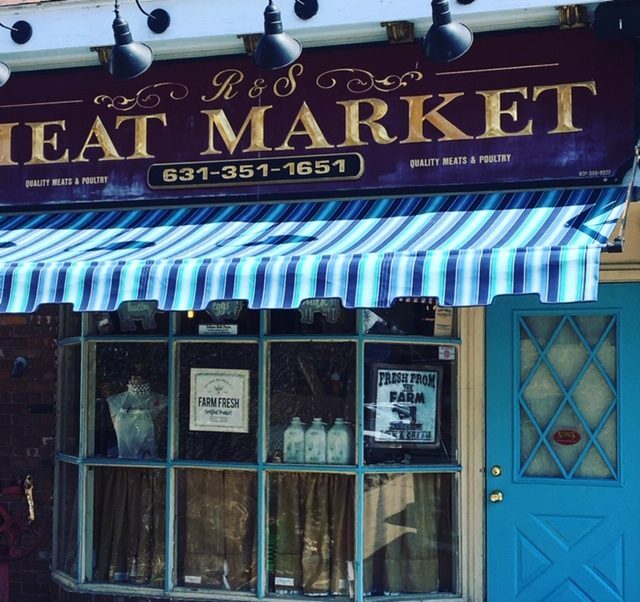 Today, we are working together to take the traditional Meat Market to the level of todays expectations. Our customers are smart, well-informed and looking for the best quality to feed their families. This has pushed us to learn new things, to investigate and to become better at our work and better for our family. We are thankful! Thirty years ago, Bob Meyer had a vision for raising beef. Beef raised the old-fashioned way, right here in the United States of America. Bob purchased his first ranch in Montana and the all natural program started with twelve head of cattle. As with any business, Bob didn’t do it alone. His Ranch Manager Jim Phillips helped him realize this dream of Red Angus Cattle raised the all natural way, on pasture, in the Blackfoot River Valley of Montana. Throughout the years the Meyer company has grown to include small satellite farms in Colorado, Kentucky and throughout the West. Ranches and farms that adhere to and share the same standard of excellence that Bob and Jim began. Many years of trial and error, along with much hard work and dedication brought the culmination of a superior Prime Red Angus, All Natural Product. Beef that we can be happy to feed our family and proud to sell at Our Market. With help from our friends at Meyer All Natural, we set the date for our spring break family business trip, and the destination was Missoula, Montana. We were on our way to track down the source of the All Natural Beef and report back to our lovely customers. The Land of Big Sky, did not disappoint and neither did Meyer Company Ranch. 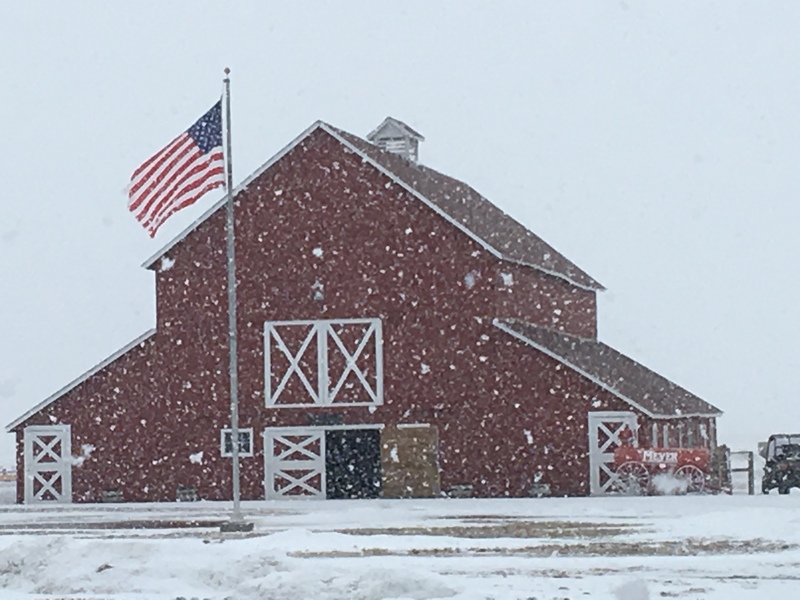 On a snowy Wednesday Morning April 4, 2018 at seven-thirty mountain time, Brandon, the Meyer Representative of the Northwest arrived at our hotel to pick us up for the hour and a half drive out to the Ranch. Brandon, a butcher by trade and previous profession, is also an avid outdoorsman and hunter as well as a husband and father of two children. Perhaps my favorite part about meeting Brandon was the loving way he spoke of his family, how important the outdoors are to him and how much he values his career at The Meyer Company. Brandon took us on the peaceful drive through The Garnet and Sapphire mountain ranges along the Blackfoot River Valley. We passed signage that reminded us to watch out for the Big Horn Sheep, and roadside trails that led to Ghost Towns! The closer we came to Helmville, the more it felt like winter. We were surrounded by snow, mountains and wildlife, with our tour guide pointing out , Mule Deer, Snow Geese, Elk, Cranes, and even Grizzly Bear tracks. Thankfully no sign of the bear who made them! The Meyer Company Ranch is located in the town of Helmville, and encompasses forty-thousand acres…yes…you read that correctly! 40,000 Acres! At the ranch we were greeted by Jim Phillips who manages the daily activities at the ranch. As I mentioned above, Jim has been with Bob since the beginning and has a hand in every detail of the All Natural Program. The Butcher and I were impressed with the level of skill and knowledge that was present at the ranch. The method of care, documentation, and complete responsibility was beyond our level of comprehension. A top-notch facility and our favorite Montana Moment. The three videos below, will take you through Jim’s tour of the ranch. I hope it shows, better than I can write, a glimpse into this company that is responsible for the delicious All Natural Beef that you will no doubt enjoy this season! 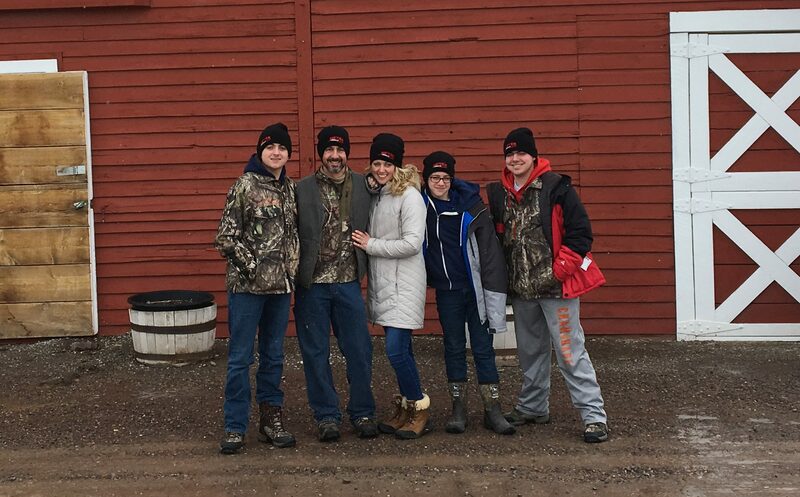 We would also like to extend our thanks to Brandon, Jim and the entire Meyer team that allowed our family to be part of their day at the Ranch. They were lovely and we are so appreciative!